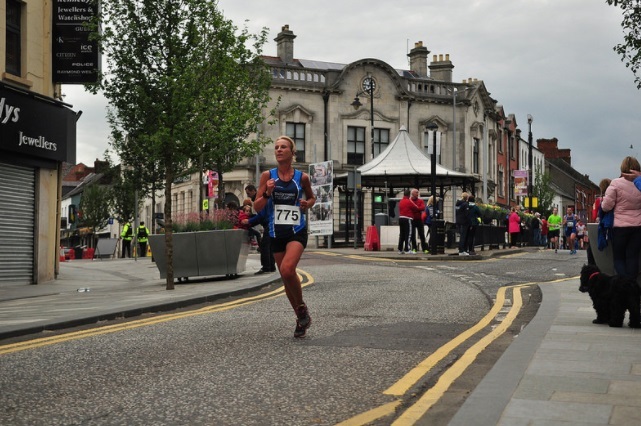 Many congratulations to our very own Kerry Bamber, first lady over the line in the Fairhill 5 on Wednesday night. 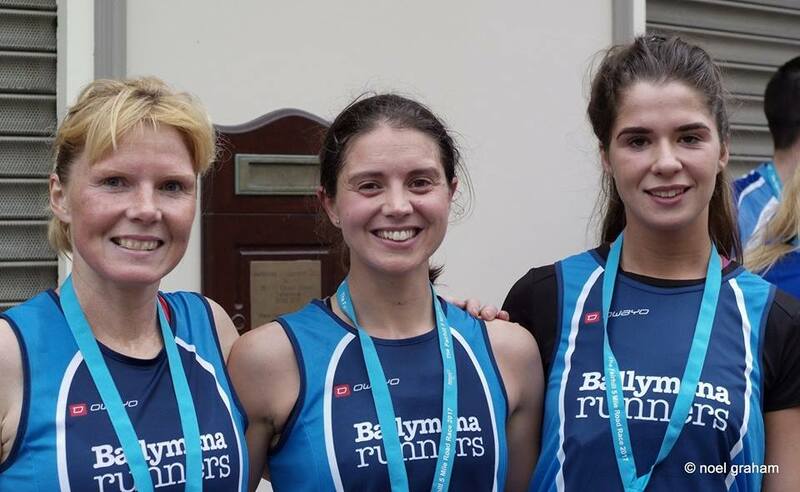 Kerry held off a determined challenge from Ballydrain Harriers duo Denise Logue and Debbie Matchett to claim top spot on a successful night for the club which also saw Ben Morrow, Geraldine Quigley and Linda Petticrew claim age category wins. 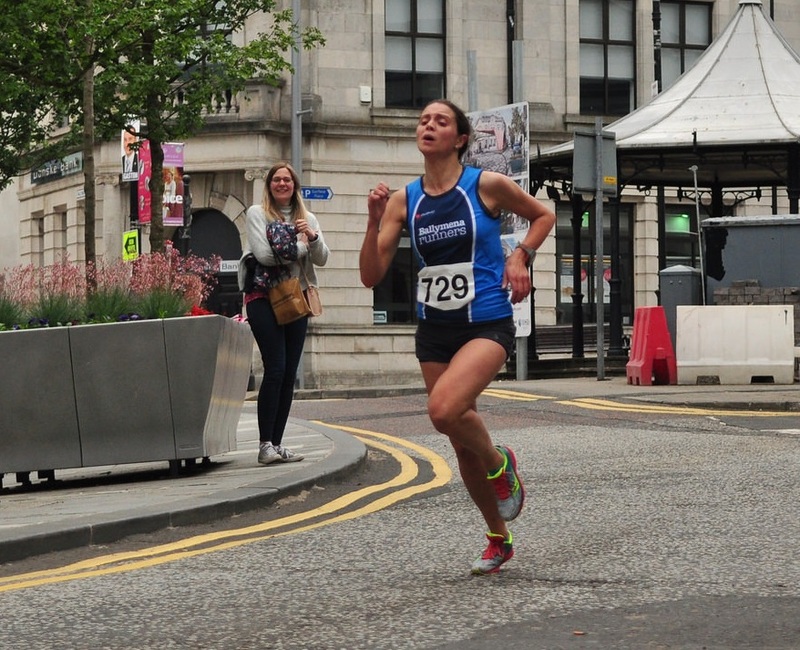 Kerry has had a great season to date and, in recent weeks, has claimed the ladies club record at both the Mile and 3000 metres. 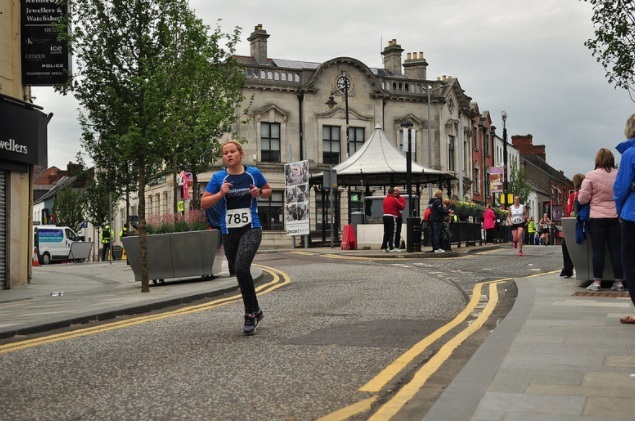 The Mile record fell at the NI Running Festival of Miles event at the Mary Peters Track on May 5th. 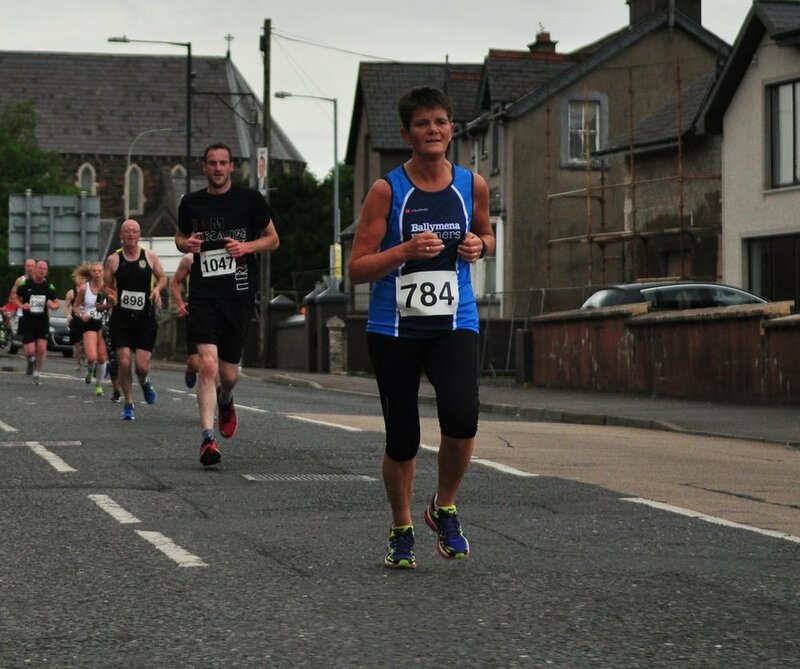 Kerry set a time of 5 minutes 21.20 seconds that night and followed it up less than two weeks later with 10:47.14 over 3000m in a track & field meeting at Bangor Sportsplex. But Kerry wasn't the only local athlete amongst the prizes on Wednesday night. 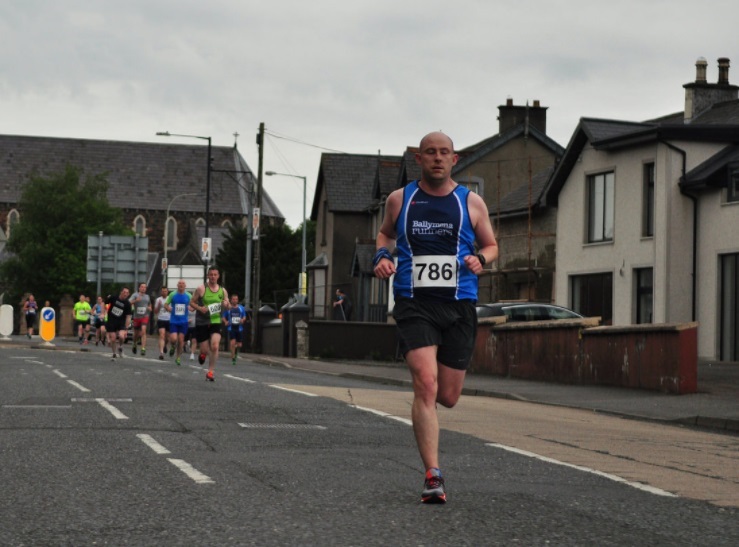 The race overall was won by Glenwherry man Mark McKinstry, no stranger to breaking the tape, but this was the first time he had claimed top spot in his local race. Congratulations to everyone involved with the event. 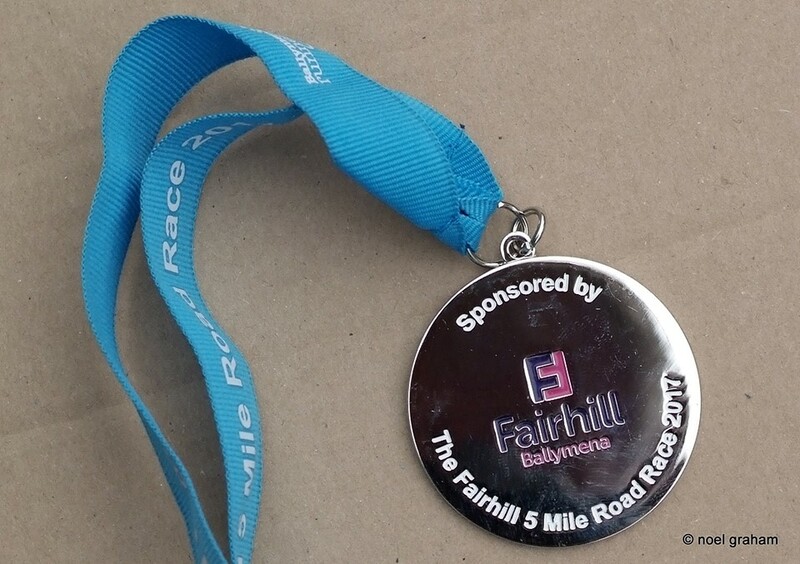 In total, the Fairhill 5 attracted a bumper field of almost 500 runners to the town with one in five of that number coming from Ballymena Runners alone! The club would like to extend a huge thanks to the support team, from those in the kitchen and registration to John Donnelly for organising his team who provided some second-to-none encouragement throughout the evening and, of course, to Race Directors James Turtle and Noel Connor who saw their months of unseen hard work come to fruition in such a successful way. 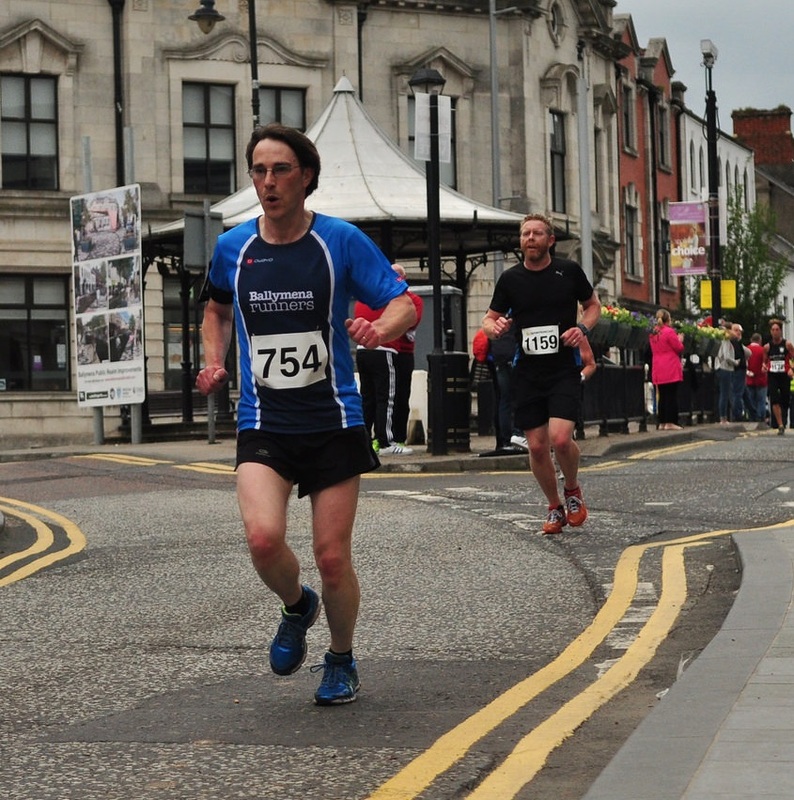 Photo gallery thanks to Kieran Scullion and Noel Graham. Older PostJames selected for World Championships!